In conditions marginally improved from FP1, Tolman Motorsport again topped the GT3 time-sheets in FP2 with a 1:41.524 set by Ian Simpson. Times throughout the session fell as the rain which affected the first session was officially classed as ‘drizzle’. Two brief red-flag periods interrupted proceedings. The first followed an off-track excursion by the #72 Stratton Motorsport Lotus Evora GT4 with Tim Eakin at the wheel. 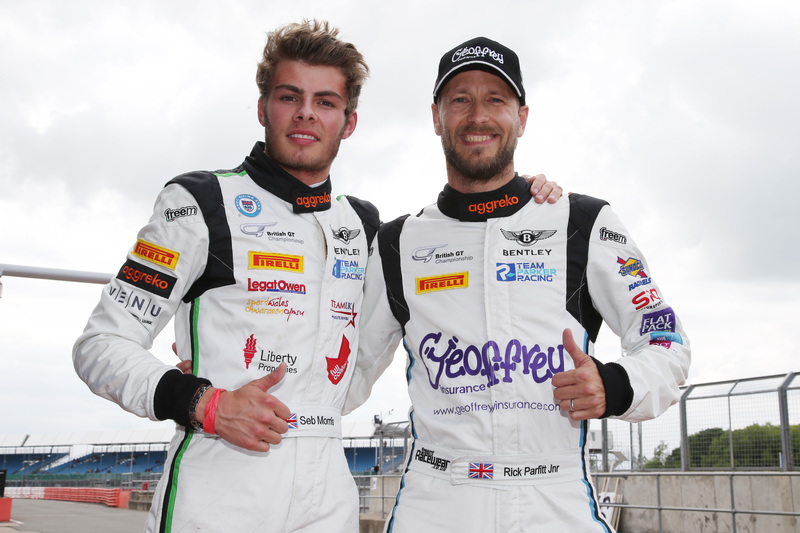 The second involved the #31 Team Parker Racing Bentley Continental GT3 which, at the time of the incident, was being driven by Rick Parfitt. Parfitt touched the wall on pit-entry resulting in light damage to the front splitter. The car was pushed back into the garage for repairs and missed the remainder of the session. 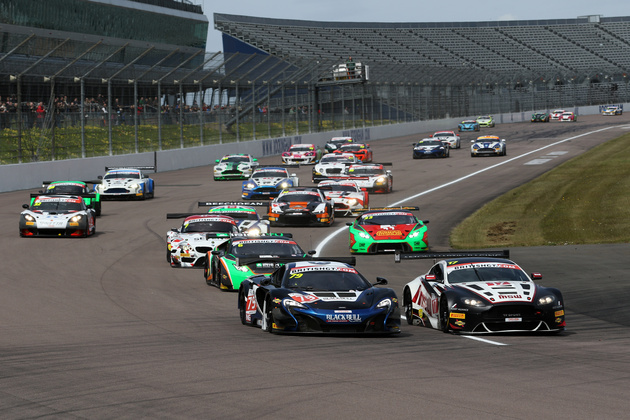 Second quickest in GT3 was #33 Barwell Motorsport Lamborghini Huracán GT3 which set a 1:41.792 late in the session with Phil Keen at the wheel. Barwell Motorsport was also third quickest with its #6 Huracán in which Alexander Sims set a 1:42.533. 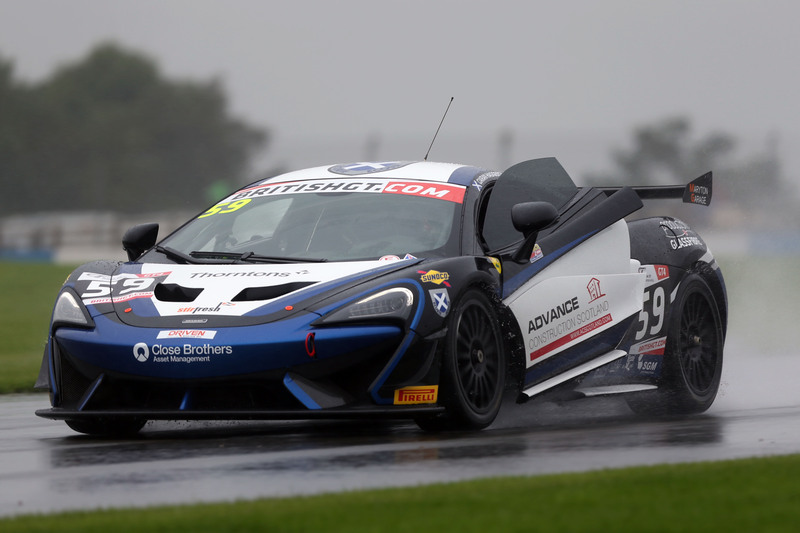 In GT4, Black Bull Ecurie Ecosse was clearly focused on maintaining the momentum set by the #59 McLaren 570S GT4 driving duo of Sandy Mitchell and Ciaran Haggerty from Snetterton after Mitchell topped the class time-sheets with a 1:49.653. Second quickest in class was the #73 Century Motorsport Ginetta G55 GT4 in which Nathan Freke set a 1:50.201. Rounding out the top three was the #42 Generation AMR MacMillan Racing Aston Martin GT4 in which Jack Mitchell lapped in 1:50.360. 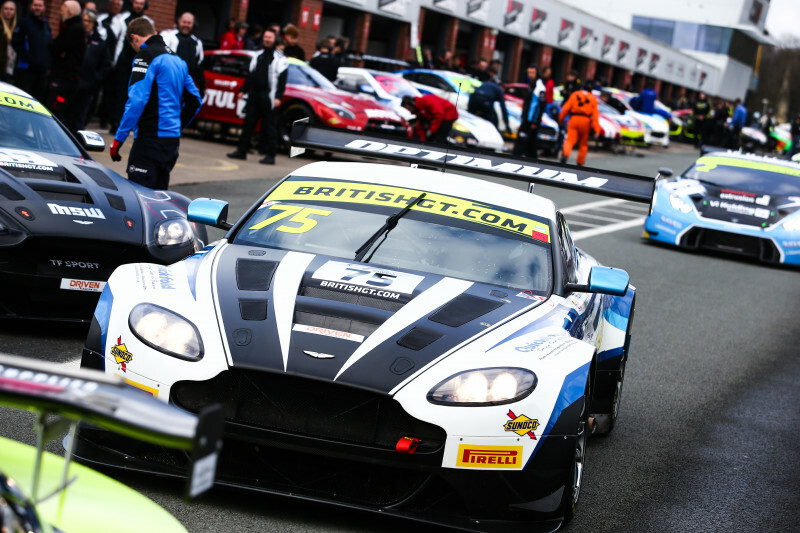 Qualifying for the final round of the 2016 British GT Championship begins at 16:15.